When you’re looking to replace a faulty AC system, your first thought is probably to replace your old unit with a newer but comparable model. 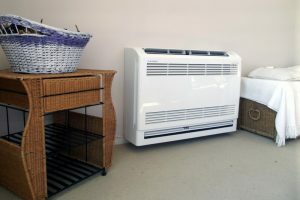 It can be hard to have the drive to do extensive research when your AC unit is on the decline or already inoperative and the summer temperatures are steadily rising. Heat pumps offer an excellent alternative! Heat pumps provide year-round, high efficiency, low cost comfort while leaving a smaller environmental footprint. Heat pumps are one of the best alternatives to conventional air conditioning in Denver, IA. Cedar Falls, Iowa (March 22) – Dalton Plumbing, Heating, Cooling, Electric and Fireplaces, recently received the Lennox® Centurion Award from Lennox Industries, an international heating and air conditioning equipment manufacturer. Mike Hart, Lennox’s Vice-President Residential Sales presented the annual award to Dave Krejchi, Owner of Dalton during a recent ceremony in Dallas. The Lennox® Centurion Award recognizes the top 100 Lennox® residential dealerships in each Lennox® sales region for outstanding accomplishments and performance. “Earning the Lennox Centurion Award emphasizes Dalton’s progress as a leading marketer of residential comfort systems, who delivers exceptional comfort and service on every job,” said Douglas L. Young, President and COO of LII Residential Heating & Cooling. Established in 1959, Dalton employs 24 and services the Cedar Valley. products through a network of more than 7,000 North American dealers. To find out more about how Dalton can help you with your home’s heating, cooling and indoor air quality needs, call 319-493-3137 or visit our website at Daltonphc.com.